Most of our customers come to us with temporary storage requirements. Which is why we understand and acknowledge the importance of total flexibility with the services we offer. Since going into business, we’ve taken real pride in offering dynamic, flexible and comprehensively scalable storage solutions for personal and business use alike. Which means that when you come to us for temporary storage, you’re guaranteed the best possible service standards and the lowest market prices. Temporary shortfalls on available space are inevitable. You could be moving house, undergoing renovations, downsizing, moving your business to new premises or perhaps leaving the area/country for a while. In all these instances and more, you need a reliable service provider to store your property conveniently, safely and affordable. Our self-storage customers benefit from both round-the-clock security and 24/7 access (upon request) to their self-storage lockers, all year round. What’s more, we can even provide you with the boxes and materials you’ll need for packing purposes. As far as flexibility goes, we offer short and long-term storage in London, Surrey, Sussex & Kent covering every duration you’ll ever need – including last-minute and temporary storage of all kinds. Whatever your needs, get in touch with the team today and we’ll walk you through the options. Most businesses could do with a little more storage space. But what happens when space around the office dries up completely? Or perhaps your warehousing/storage facilities in London or Ashford can’t quite cope with your inventory? There’s always the option of relocation or expansion, but you might find self-storage a far simpler and more affordable option. 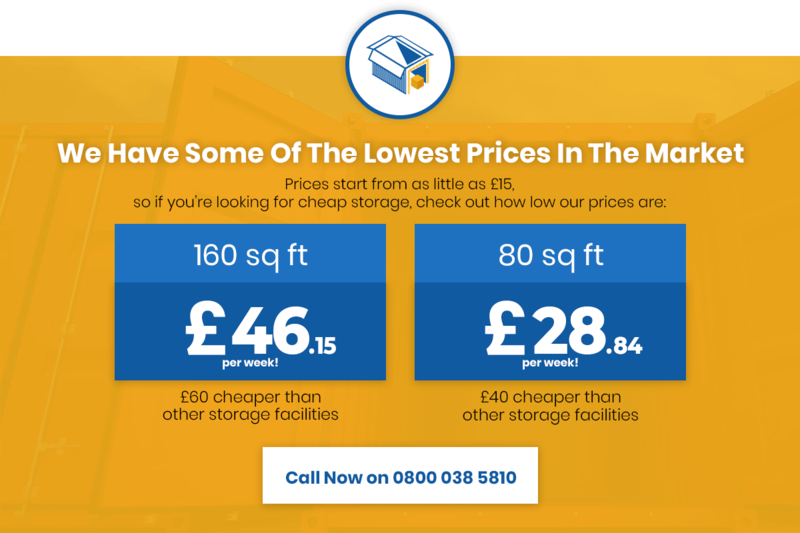 We’re proud to offer a comprehensive range of business storage services of all shapes and sizes, with prices at least 30% lower than market averages. Whatever the size, nature and needs of your business, we can provide you with the commercial storage you require for maximum efficiency. Our self-storage business units can be used for a wide variety of business purposes. An affordable storage unit can offer ideal off-site inventory storage for retail businesses. Likewise, our business storage units in Surrey and Kent are perfect for storing the materials and consumables your firm relies on. When it comes to relocation and renovation efforts, we can watch over your property while the necessary work is carried out. All under 24/7 CCTV supervision and with round-the-clock access to your property. First think about how you could use a little more space around the office – then give us a call to discuss a custom business storage solution!